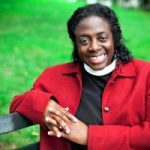 WILLIAMSTOWN, Mass., March 29, 2018—Williams College has appointed The Reverend Valerie Bailey Fischer as the next Chaplain to the College. She will begin her position in July. As chaplain to the college, The Rev. Bailey Fischer will support the vitality of the many religious, spiritual, and intellectual traditions at Williams through dialogue, outreach, and advocacy. In addition, she will provide counseling and spiritual guidance for undergraduates and foster community between students and their neighbors in Williamstown and the wider world. The Rev. Bailey Fischer comes to Williams from Calvary Episcopal Church in Summit, N.J., where she currently serves as priest associate. 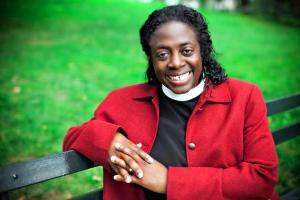 She brings to Williams more than 11 years of college chaplaincy experience and nearly a decade in ordained ministry. The Rev. Bailey Fischer was raised in West Philadelphia in an African American Pentecostal tradition, participating in several other Protestant traditions before joining the Episcopal Church as a young adult. After graduating with an M.Div. from Union Theological Seminary in New York City, she became university chaplain at Framingham State University, where she helped students from a variety of religious, moral, and philosophical traditions form and strengthen their communities. In addition, she assisted students in planning creative rituals and liturgies that deepened their spiritual engagement. Through The Rev. Bailey Fischer’s ministry’s strong foundation in social justice, which included Urban Pilgrimage, the unique experiential learning program she developed at Framingham State, she galvanized the student-led development of interfaith programming to encourage learning across traditions. She received her B.A. from Penn State University and is completing her dissertation in Anglican studies and U.S. Episcopal Church history at General Theological Seminary. Her research examines the ancient order of female deacons from the early church, its late-19th century revival, and its role in the ordination of women in the Episcopal Church in the United States.